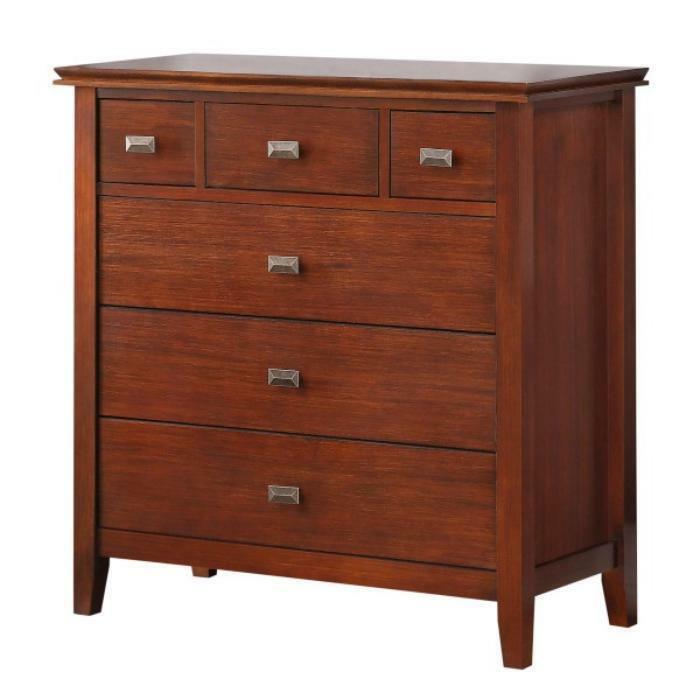 Simpli Home Ltd., of Olympia, Wash., is recalling about 240 chests of drawers. The chests are unstable if not anchored to the wall, posing a serious tip-over and entrapment hazard that can result in death or injuries to children. The chests do not comply with the performance requirements of the U.S. voluntary industry standard (ASTM F2057-14). This recall involves Artisan, Bellevue, Holden and Stratford style six-drawer bedroom chests of drawers. The pine wood chests are stained medium auburn brown, weigh 77 pounds and measure 36-inches high by 36-inches wide. Warning labels can be found on the back of the chests, near the top of the unit. The chests, manufactured in Vietnam, were sold on Amazon.com, Macys.com, Overstock.com and other online retailers from November 2015, through September 2016, for between $500 and $700. Consumers should immediately stop using any recalled chest that is not properly anchored to the wall and place into an area that children cannot access. Contact Simpli Home for a choice between two options: full refund or a free tip-over restraint kit with a $100 credit towards an in-home installation of the device (with proof of service). Simpli Home is contacting consumers who purchased the recalled chests directly. Consumers may contact Simpli Home toll-free at 866-518-0120 from 8 a.m. to 4 p.m. (ET) Monday through Friday, by email at customerservice@axcess-world.com, or online at www.simpli-home.com and click on the “Customer Support” for more information.